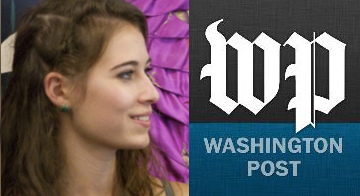 We just stumbled across a great blog series from @valeriestrauss at the Washington Post. She's following the story of a 12th grader from New Hampshire, Samantha Fogel, who's going through the college admissions process. The way the series is written, it makes for a wonderful bit of reading. With the 2014-15 school year now in full swing, many high school seniors are finding that they have two jobs: keeping up with classes and filling out college applications. This blog will follow one senior as she navigates the college search and application process. She is Samantha Fogel, a student at The Derryfield School, a private college preparatory day school for grades six through twelve in Manchester, New Hampshire. Samantha and her college counselor, Brennan Barnard, will document her experience applying to college in occasional posts that will include the voices of her parents, teachers, friends and others. Her story may help debunk some myths surrounding selective college admission while providing a window into a time of transition for one young woman growing up in rural New Hampshire. It's a great series, and well worth reading. You can check out the first post here. And let us know your thoughts in the comments section below. Does Sarah's experience sound familiar to you?